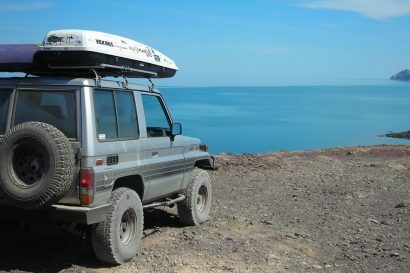 In the adventure world, it is common for travelers to use the term “best practice”, a sentiment employed to describe a proven method, or more often, a proven piece of kit. 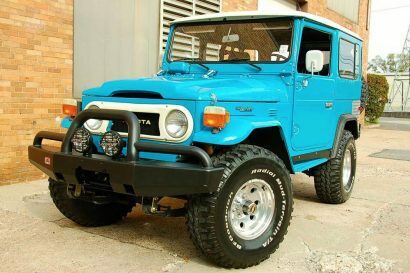 Few will debate the Land Cruiser HZJ76 as being a serious overland machine, the vehicle most recommended as the best of breed offered from Toyota. 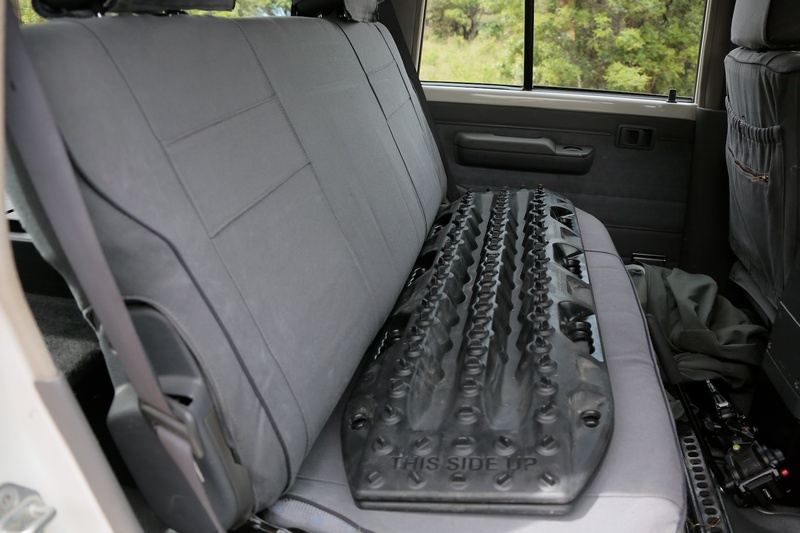 While a Land Cruiser even in stock form is considered by many to be the perfect exploration platform, there are still a few modifications that truly make it the best it can be. Enter Front Runner, the premium equipment manufacturer based out of South Africa, a company that not only sells some of the best products on the market, but lives best practice every day. This is not just marketing-speak, but the hard won miles in the most remote locations on the globe, most of that distance driven by Front Runner’s co-founder, Stanley Illman. 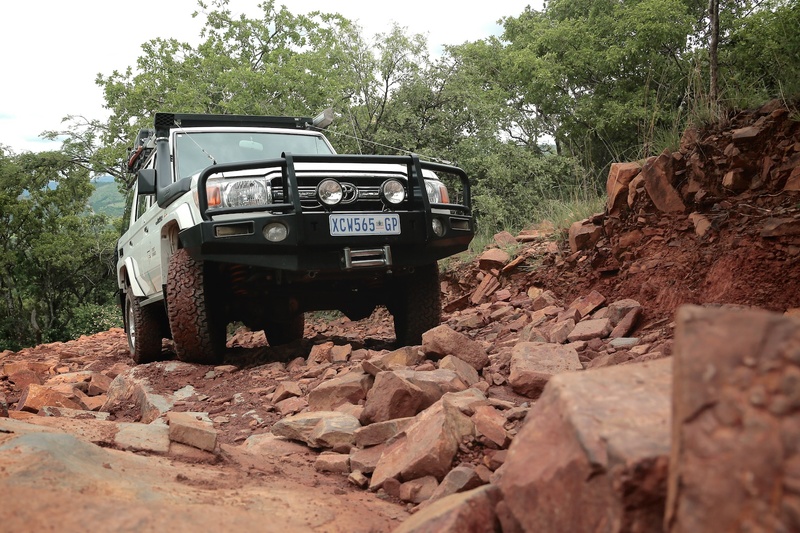 It takes an exceptional product to impress our team, but we are even more convinced when that kit is designed and tested by experienced overlanders that know what works in the field, and more important, what does not. 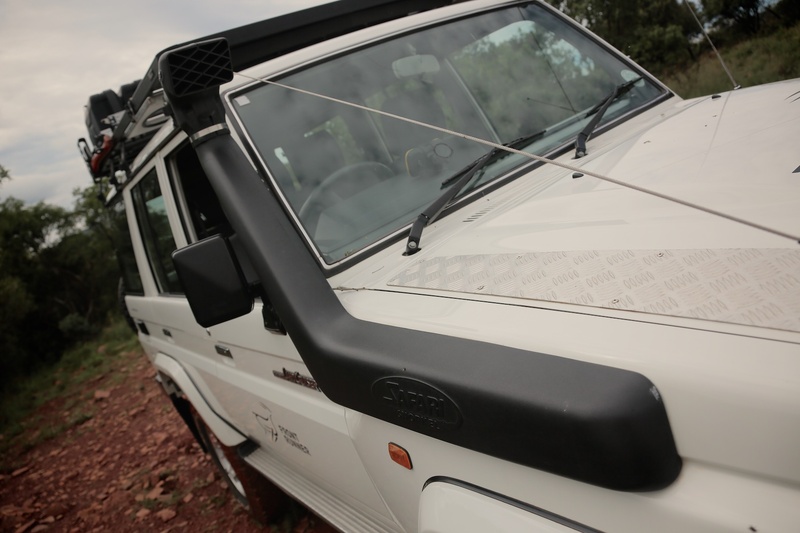 As a showcase of their accessory line, Front Runner purchased an HZJ76 Land Cruiser, complete with the stalwart 1HZ normally aspirated diesel. From there, they purposefully eschewed expensive and heavy luxuries, but focused on the essential modifications. 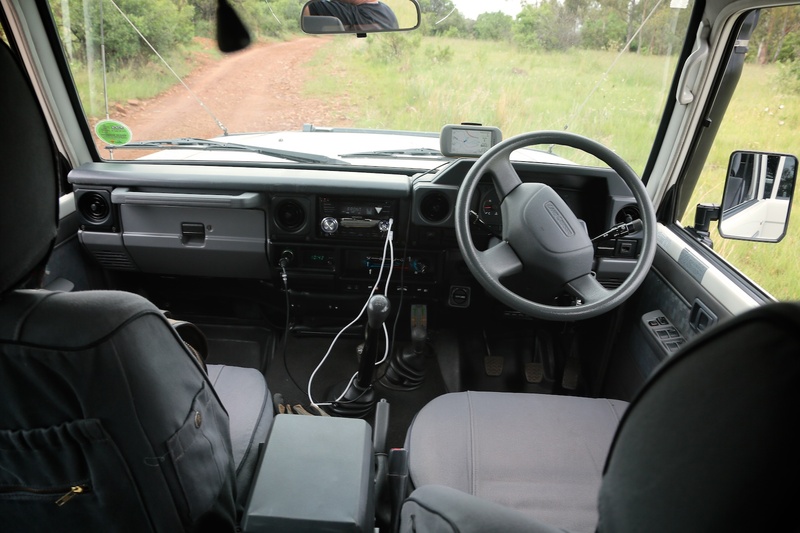 I had the opportunity to test this vehicles in the wilds of Southern Africa, driving north towards Botswana and ultimately all the way to the eastern coastline, just south of Mozambique. 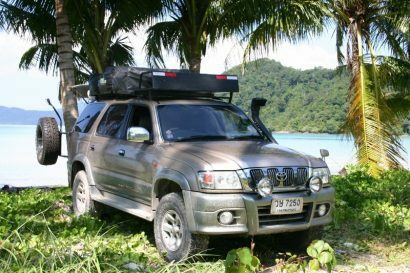 Throughout the journey, the Land Cruiser performed as expected, and I made a few notes on the modifications. My conclusions and descriptions are documented with images below. 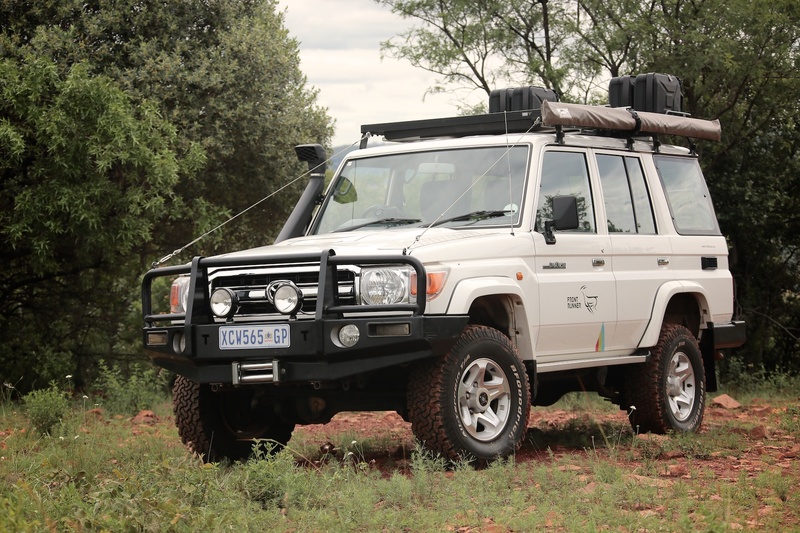 Starting at the front of the Land Cruiser, it is fitted with a TJM bull bar, IPF lights and a TJM suspension system. 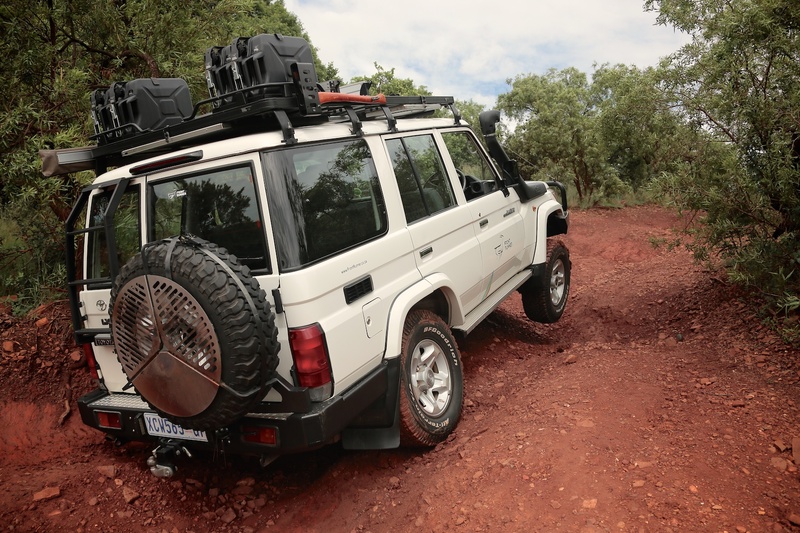 For traction in the clay and rocks common to South Africa, 265/75 R16 BFGoodrich AT KO all-terrain tires were installed on factory aluminum wheels. Moving back along the hood and fenders, a Safari Snorkel raised intake was installed to help manage the thick African dust and deep fordings (who volunteers to wade into the hippo infested waters?). Also installed was a tread plate reinforcement panel, which I find to aesthetically unfortunate, but no-doubt functional when retreating to the hood from that charging hippo. 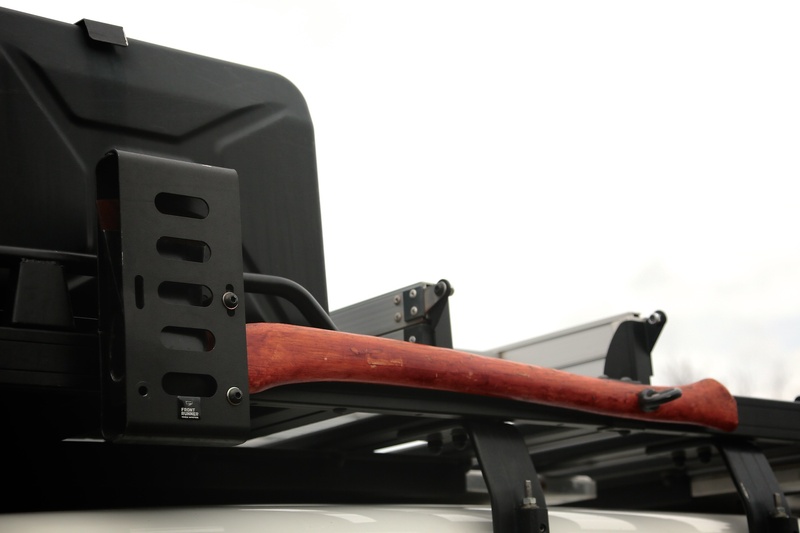 Adjustable limb risers connect between the bumper and the heavy duty brackets on the Slimline roof rack. Shifting to the interior, the dash is classic 70 series, with air conditioning being one of the few (yet critical in this climate) luxuries. 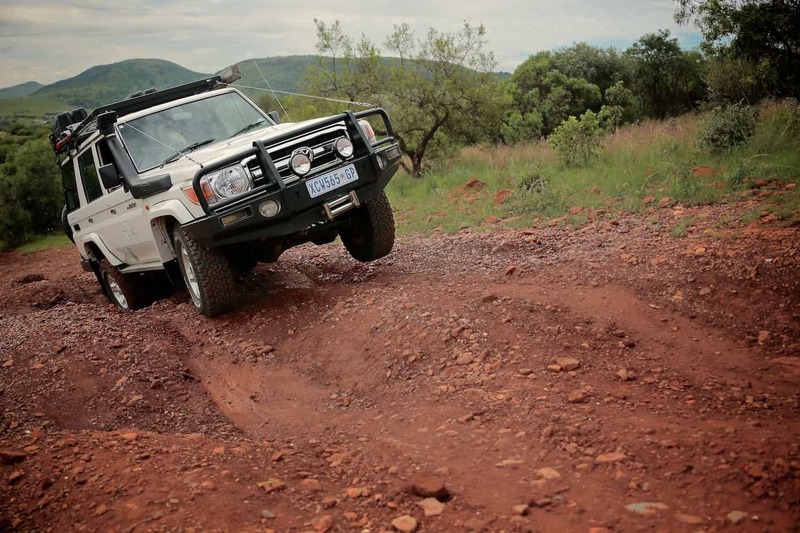 The Illmans understand trail performance, so they also specified factory front and rear differential locks. 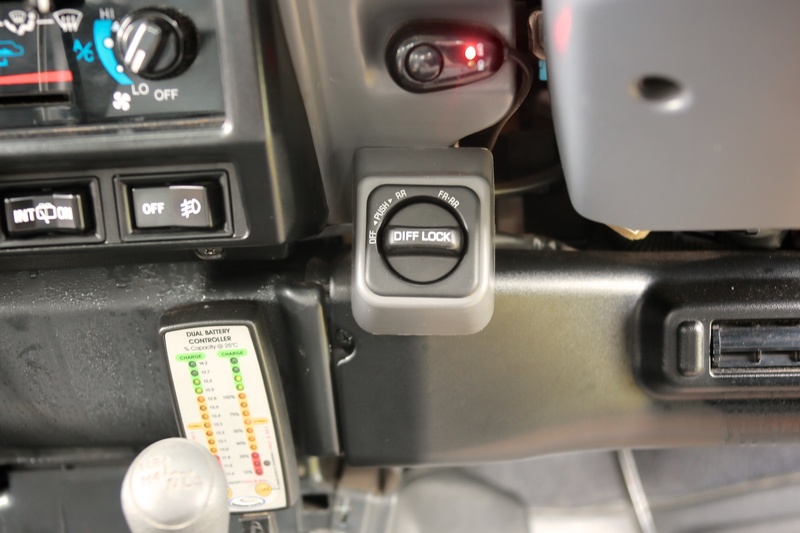 For winching and redundancy, a National Luna split charge system was installed, along with the remote monitor affixed to the dash. On the seats, a handsome set of Melville and Moon canvas seat covers were slipped over the factory cloth. Continuing rearward, an innovative overhead net storage installs to a robust extruded aluminum channel. 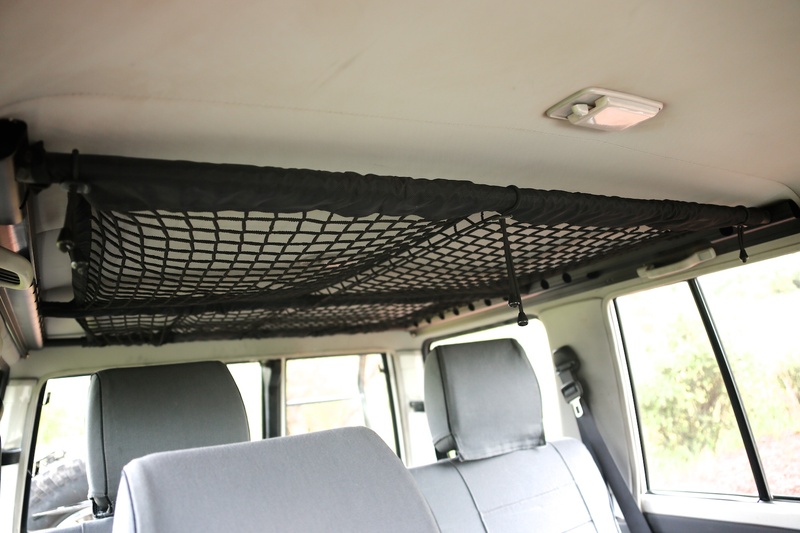 I found the net ideal for lightweight items like jackets hats, blankets or even my tripods. 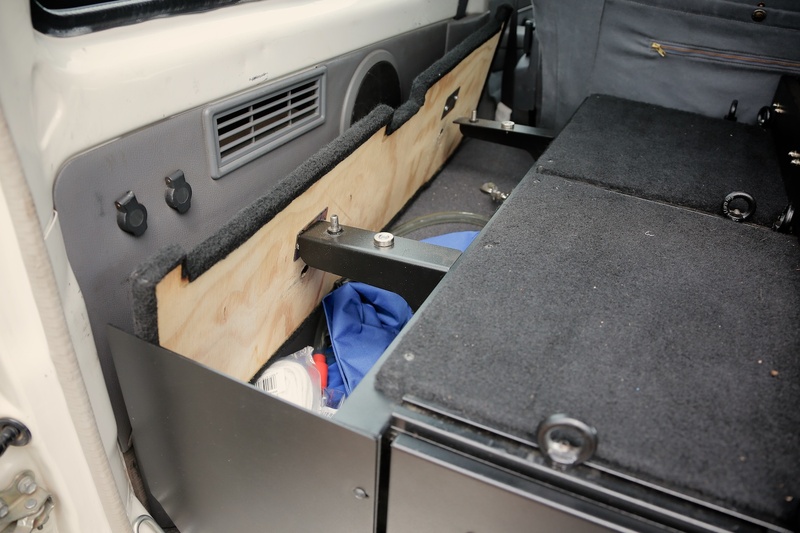 Just inside the ambulance doors is Front Runner’s new metal drawer system, units produced specifically for each application (although they also have a universal kit), complete with a carpeted load surface and finished side panels. The side panels provide an ideal location for small items, or equipment you prefer to keep in a discrete location. 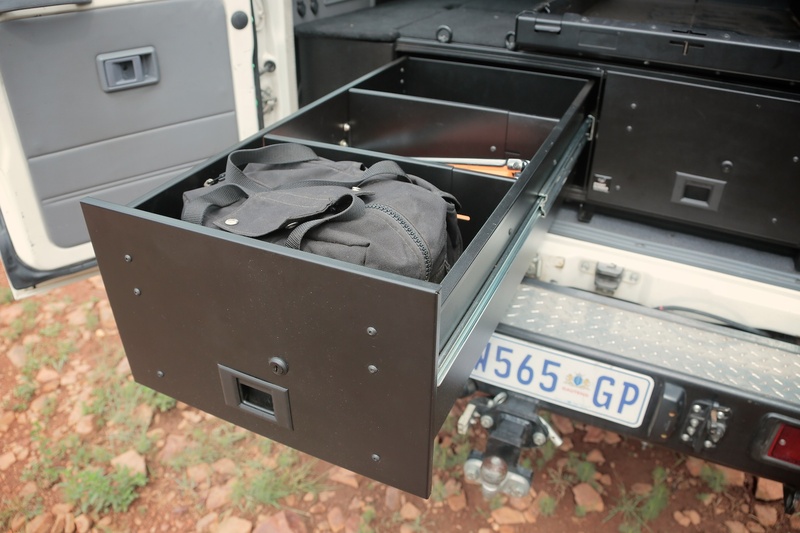 These drawers are lighter (weight) then most on the market, but are still heavy duty, including 100% extension slides. The roofline is packed with goodies, although fortunately devoid of excess (weight). The primary platform is a 2.16 meter Slimline II rack, made entirely from aluminum and refreshingly lightweight. The load floor allows for near-infinite configurations, and can also be used as a photography or sleeping platform (my personal favorite). 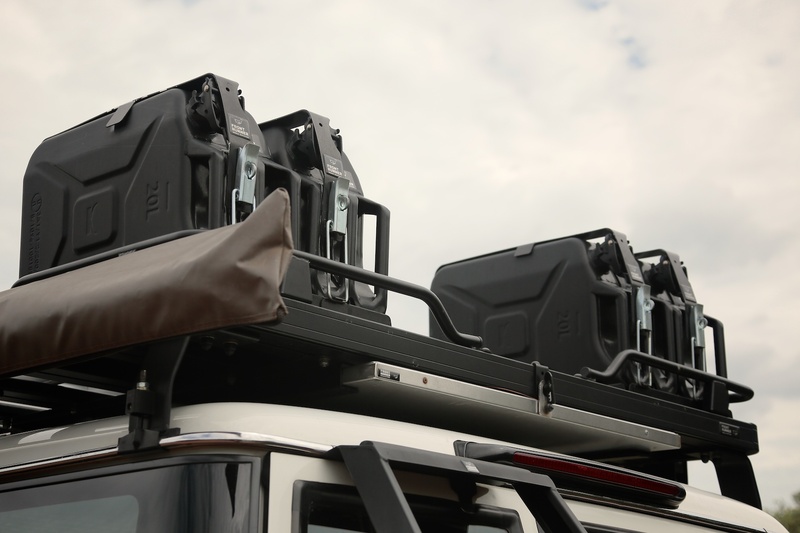 At the rear, four diesel NATO cans are installed in Double Jerry Can Holders and surrounded by the Slimline Expedition Rail. Below the rack was fitted a stainless steel camp table, easily slid from the channels after releasing the hasp. 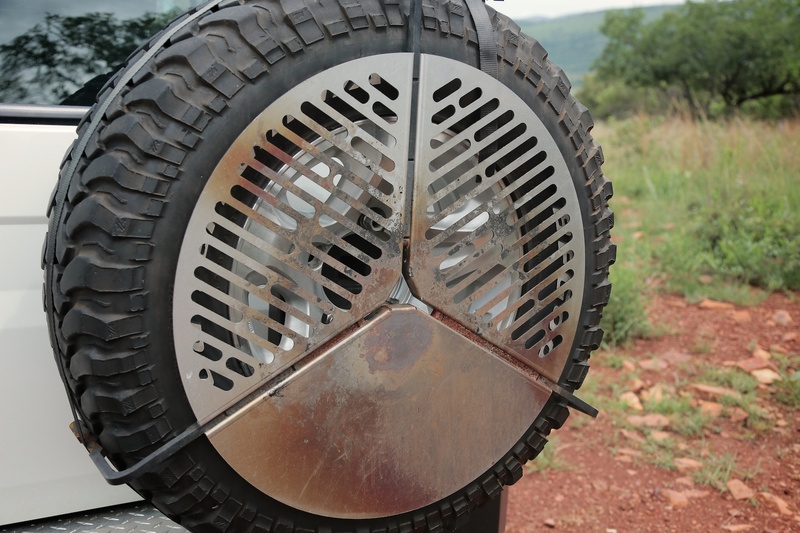 On the side of the rack is a lightweight bag awning and a lockable axe holder, the hatchet proving valuable for chopping wood for coals to place under their tire-mounted braai grill. 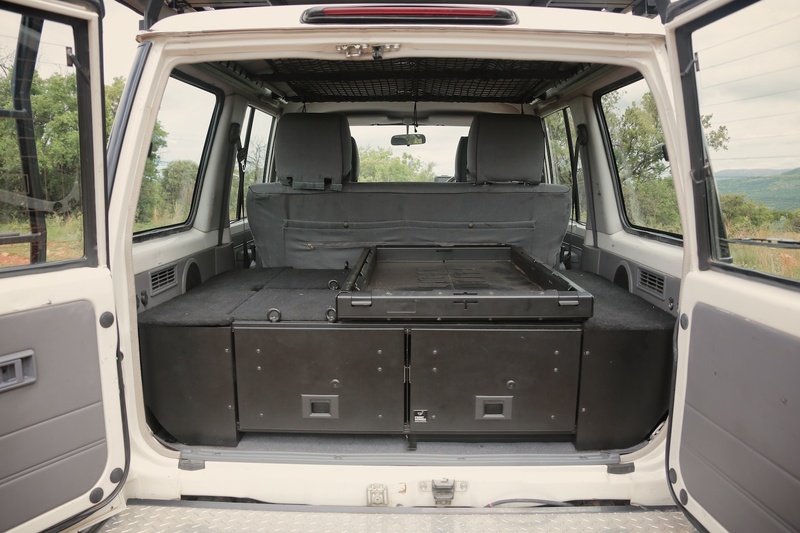 The stainless steel, laser-cut bbq grill mounts over the spare tire and provides two grilling surfaces and one warming/griddle surface. I have used their grill around the on a few circumnavigations, and it has become one of my favorite Iron Chef accessories.